Wierman, A, Ling, M, & Zwart, A.P. (2011). 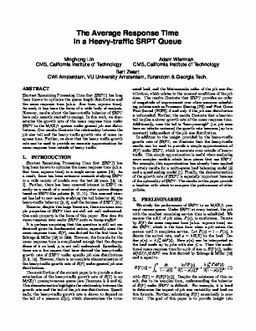 Heavy-traffic analysis of mean response time under shortest remaining processing time. Performance Evaluation, 68, 955–966.